Los Angeles Limo Service started luxury transportation services in 1995, and we are proud to be most professional, affordable and premier choice of limo service and ground transportation in Los Angeles, CA. The Safety and Customer service is the highest priority of every employee in our company, to guarantee complete pleasure from the moment you make the reservation to the moment you arrive at your destination. Los Angeles Limo Service is one of the leading and most trusted luxury transportation service providers capable of meeting your unique transportation needs. Why Los Angeles Limo Service? Los Angeles Limo Service is committed to delivering quality car rental and Limousine service in Los Angeles CA. 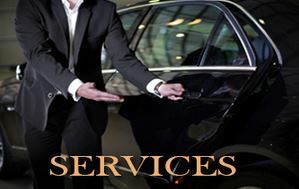 With much years of experience in the industry and primary focus on excellence, professionalism, reliability, and courtesy, we promise to give premiere advantage to your luxury travel. Professional drivers, Punctuality, Navigation Skills and Affordable Rates are the four cardinals to enjoy the ride to the fullest.We are proud to be the first Limo Service in Los Angeles who offers new Executive Lincoln MKT Town Car for our Corporate passengers. We have the most reasonable rates for corporate car service, party bus rentals, corporate service and more. We also guarantee the most luxurious and suitable car rentals for all occasions and special events in Los Angeles CA. Our limos and party buses are readily available round the clock, and we guarantee timely and exceptional delivery of limo service ordered. We are confident to say that no one would match the dependability, quality and price of our services. Our fleets are properly equipped with only the best kind of technology and maintained at the best kind of approach. Let our company take you to the most special events in Los Angeles in a very luxurious, safe and comfortable manner. We offer only the best kind of limousine services which are offered in one package at its excellent comfort, safety, luxury and quality. Our limousines are known to be perfect for different types of events you wanted to attend to. We also make sure that our limousine services are primarily designed not only to meet but to exceed our clients need. We are proud to serve to Los Angeles Community more than 20 years,including: Entire Los Angeles Metropolitan Area, San Fernando Valley Cities – Encino, Studio City, Woodland Hills, Sherman Oaks, Northridge, Granada Hills, Porter Ranch, Pasadena, Glendale, Burbank, Hollywood, Beverly Hills, Santa Monica, Malibu and more cities…. 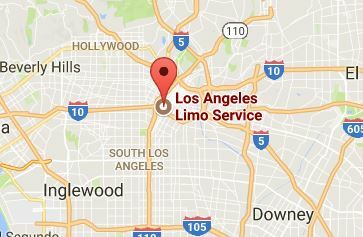 Los Angeles Limousine Service has been delivering quality and efficient limo service in Los Angeles for many years now. When looking for dependable limousine rental, make sure to book your reservation with us. We ensure that reserving your next limo service Los Angeles is affordable, convenient and comfortable. Unlike other car rental companies, our limos and party buses always look their best once these arrived in your chosen destination. We believe in making your experience unforgettable. Los Angeles Limo Service provides the large fleet of luxury vehicles to choose from, and we also have modern and fully equipped party buses that can accommodate large groups. Los Angeles Limo Service specializes in delivering unbeatable and stylish wedding transportation. Our complete range of sedans and limousines makes finding the perfect wedding car easier. We also provide quality corporate transportation like no other car rental companies can give. 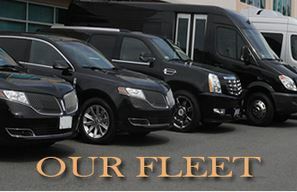 Our private fleet offers a complete lineup of luxurious sedans and limos perfect for your special and important events. Our professional and friendly chauffeurs are highly trained and experienced to provide you comfortable and flawless transportation in the entire course of your rental. State of the art luxury vehicles, professional drivers, and innovative tracking software are the amazing things you will get as soon as you book your airport transportation from LA Limo Service. Let us to handle your airport transportation needs. You are guaranteed just to sit back, relax and enjoy as we take you to and from the airport. If you are in need for luxury cars in Los Angeles for your airport transfers, feel free to keep in touch with us and let us discuss your specific needs and requirements. By choosing our private airport transfers, you’ll never have to wait at the airport again. We promise to be there and take you to your specified location without any hassle and delay. When it comes to leisure transportation, we do not just give the perfect limo, but we make sure that you’ll have a blast. We also offer reliable transportation for winery tours. We also invite you to experience the pleasure and enjoyment of sightseeing LA attractions for their ultimate greatness. You will surely gain unforgettable memories in one of our limos and party buses. Regardless of what service you need, Los Angeles Limo services team is always ready to serve and assist you. We are also willing to help you as you book your travel needs over the phone or online. We have a sincere commitment to ensuring that all our clients’ needs for reliable and luxury transportation. Starting from corporate, weddings, proms, bachelor/bachelorette parties, concerts, airport transportation and winery tours, we got you covered. We are the most excellent option for travelers. With our limos and sedans, you are sure to travel in style and comfort anywhere you go in Los Angeles. Contact us now and book your limo service in Los Angeles with us and get the best limo service that you deserve for the best rates around. With our limousines, you don’t have to worry about your service. We give our clients hundred percent satisfaction guarantee unlike any other car rental companies in LA. Our customers can rely on our 24-hour customer support service.Therefore, means that we are always available and ready to answer queries and resolve any concern or issues that you have. Be ready to experience one of the best moments of your life with our limo services Los Angeles. We have modern and flashy vehicles to take you from and to your destination with guaranteed safety, comfort and style. We are proud of our well-maintained and hottest fleet featuring high-class vehicles to meet clients ‘diverse transportation needs. Los Angeles limo is absolutely fantastic from start to finish. 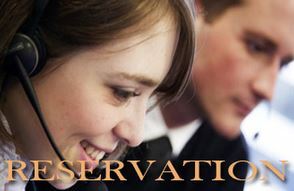 Customer service and sales agents are top-notch, the reservation and confirmation communication is great. The driver was an excellent! The limo I rented was super comfortable and well equipped. Will definitely go to these guys again for our next out of town trip! I do a lot of traveling for my company, so I need a reliable limo service that can take me back and forth to the airport here in Los Angeles and that’s why I always trust Los Angeles Limousine. They offer a great selection of luxury cars that are always clean dependable and on time service. I can’t tell how important that is, plus the drivers are always professional, friendly and well dressed. Overall I think Los Angeles Limo service really does provide everything you’d expect in a luxury car and limo service in the Los Angeles Area and I’d highly recommend them and I simply wouldn’t use anyone else.